Most people go through life never writing down their goals. Be one of the 5% that does, and watch your life transform before your eyes. One thing that is important is for our sons to serve a two year mission for our church at the age of 18-19. This can only happen if you are found worthy by your local church leaders, and save up enough money to finance your own mission. I put on our dream board that we were excited to have all three of our sons serve honorable missions for our church. At the time I didn’t see how our oldest son would go on a mission. He even said he wasn’t going. He ended up serving an amazing mission to France, just loving it. 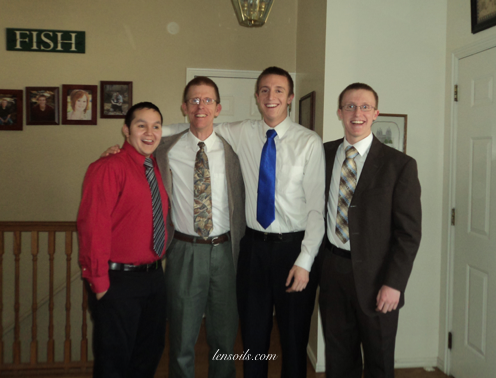 I was never preachy or pushy with my second son going on a mission. The priorities of my son were not about being a missionary. If he would have told me a year prior to his mission that he was going, I would have been really surprised. I just let God be in control of the situation. A year later, our son went on a mission to Mexico City, and did a fantastic job. Our third son has completed a mission to Paris France. He loved serving the people of France. He also did a great job. People fit into one of three categories. Complacent, in a crisis, or have a purpose. Complacent people: just go with the flow where ever life takes them they go. These people are like a water current finding the path of least resistance. People in crisis: whatever is going on in these peoples life is always a crisis, with plenty of drama, and their world always seems to be turned upside down. What kind of a person are you? If you want to do your best and achieve your goals, be a person with a purpose.